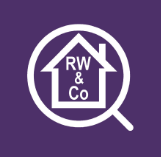 Roland Wade & Co Ltd is an independent firm of Chartered Surveyors specialising purely in residential property. We pride ourselves on providing an excellent level of service at reasonable rates. We provide a wide range of services tailored to meet the specific needs and wishes of our clients. Services include Building Surveys, Valuations, Party Wall Matters and Lease Extension and Enfranchisement. Please contact us for a free initial consultation without obligation and in strict confidence.